Ideally, you should never have to worry about your router; you should never have to watch the blinking lights or log into the admin panel just to see why your YouTube videos take forever to load. In the real world, resetting your router when a connection drops or when you’re trying to connect more devices, is all too familiar. Navigating your way through various router-related issues is not easy, which is where Google promises to change everything. The $200 Google’s OnHub Router promises to take you to theutopian world of No-hassle Routers, but does it really live up to the promise? The router costs $200, which is a bit on the pricey side; my previous router was just $50 and had dual antennae. When it developed a chronic disconnection problem on my Dell laptop and mobile devices, I decided to see just how much things would improve if I purchased what is probably one of the most expensive routers available. In my opinion,OnHub’sWiFi coverage is simply fantastic,and way better thananything I ever achieved with my old Actiontec model. Google’s partnership with TP-Link to build a modern router seems to be successful on many fronts, the first being it’s appearance; the futuristic cylindrical design looks inviting and friendly. Performance-wise, it’s powered by a mini computer, which combines with powerful antennae to ensure that data flows across almost any channel for which your devicesare optimized. I discovered this because my apartment is on the 14th floor and I’m surrounded by other apartments with dozens of internet services and Wi-Fi routers. TheOnHub waded through all the various frequencies to ensure that my device received data on an uninterrupted frequency. This eliminated the disconnects and the dreaded yellow icon on the taskbar that I’d become so used to seeing. Once the OnHub was up and running there was a noticeable increase in throughput. 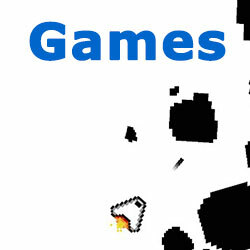 Videos loaded faster, and multimedia-rich websites didn’t buffer or get stuck, although everyone’s mileage will vary. However, there was no noticeable difference in my downloading or uploading speed; I even turned on uTorrent to check the speed and there was no increase in mbps. 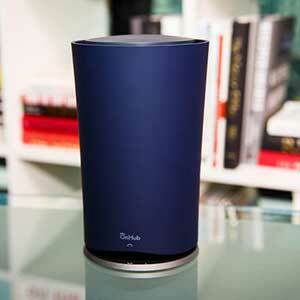 What makes OnHub so different is that it’s not all hardware; setting up the router and then managing it is very easy. All you do is install an app on your Android or iOS device and once both devices have shaken hands, you just choose a name and password. The mobile app allows users to share their passwords with friends and family members, as well as set a priority for certain devices, so you couldgive your XBox the highest priority when it’s turned on. OnHub can also register and log bandwidth usage, which will be helpful if you’re paying per GB for your internet service. The LED ring is designed to give you a visual clue to its status, but the light doesn’t blink so you can’t really tell if it’s indicating the flow of traffic or simply that the router is on. It’s important to note that the OnHub is not for advanced users who like to dive into the guts of their devices.The options you’re given are limited to just basic WAN and DNS settings, along with some port forwarding; everything else is plug and play. The upside to this is that all the complexity of managing a home network is tasked to the built-in mini-computer. The big one for me is that the device is definitely WiFi oriented; it only has one Ethernet port, making it a big ‘no’ if you have multiple desktops or you want to use it in an environment where most devices are non-WiFi. Because it’s overpriced, I would say that it should only be considered if you’re having issues with your present router. If your problems are the result of being in a zone that’s saturated with WiFi connections and devices, make sure you try changing the frequency manually on your current device before spending $200. OnHub is said to be capable of supporting Weave, which is a new Internet of Things protocol. 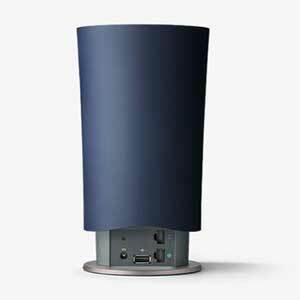 So, once that arrives, the OnHub will become more than just a router; it will become the central hub for what Google sees as a smart home. This is why Google has made it powerful enough to cover the whole home. However, there is no mention of when the new Weave protocol update will be released. And how many of us really have domestic items that need to be hooked up to the internet? Even most tech guys don’t have smart toasters, fridges or ACs. Once the protocol is more mainstream we may choose to invest in these gadgets, and this is probably why Google has made the OnHub so appealing to people who have problems with their home routers. What Would Make A Good Camping Hand Saw?